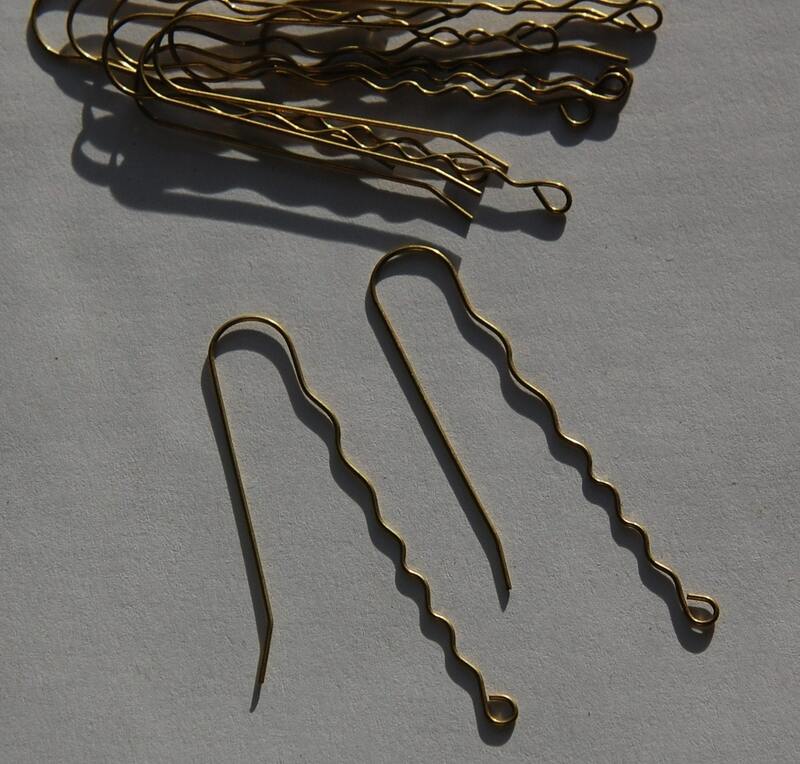 These are are ear wires that are made from raw brass. They have a wavy design with a loop at the end for attaching a yummy treasure. 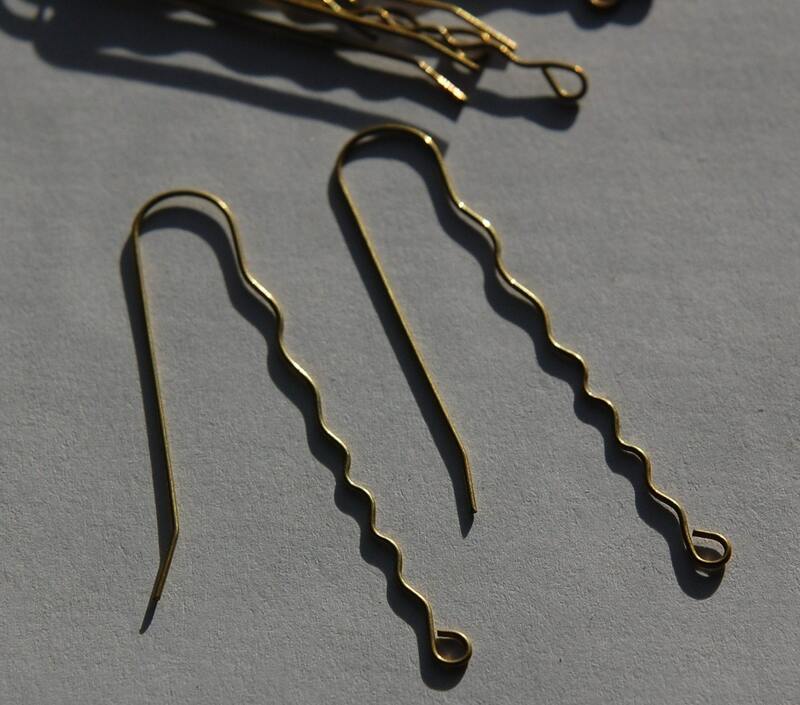 These measure 60mm down the front, 45mm down the back. You will receive 12 pieces/6 pair. Very cool. Looking forward to working with these! Love the goodies in this shop!! Delightful transaction with a lovely seller. Thank you!